Use coupon code 'onedollarmonth' for your sign up of $1. 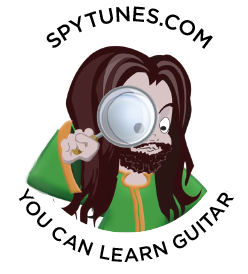 Unlimited access to all acoustic and electric step by step guitar courses. From beginner to master with full support. Subscription via PayPal, you can cancel anytime. A monthly subscription with access to all acoustic and electric step by step lessons, each one designed to bring your guitar playing skills to the next level. Including detailed, but bite-sized explanations on how the music theory of each song is applied to the neck. This product currently includes an eBook version of the 400+ page bible of guitar related music theory. The Guitar Conspiracy 3.0, provides detailed explanations on how music theory can be applied to the guitar for better playing, composing and a more thorough understanding of the instrument. 280+ unique step by step Guitar Lessons focused on learning songs and applying music theory to the guitar neck. Always starting with a real song, you get easy to understand, bite-sized explanations of how and why certain techniques sound the way they do, and how certain scales, chords, and harmonies all work well together. Electric guitar lessons – Play with a LIVE BAND. Direct message service for full support. This subscription is not binding, you can cancel at any time.